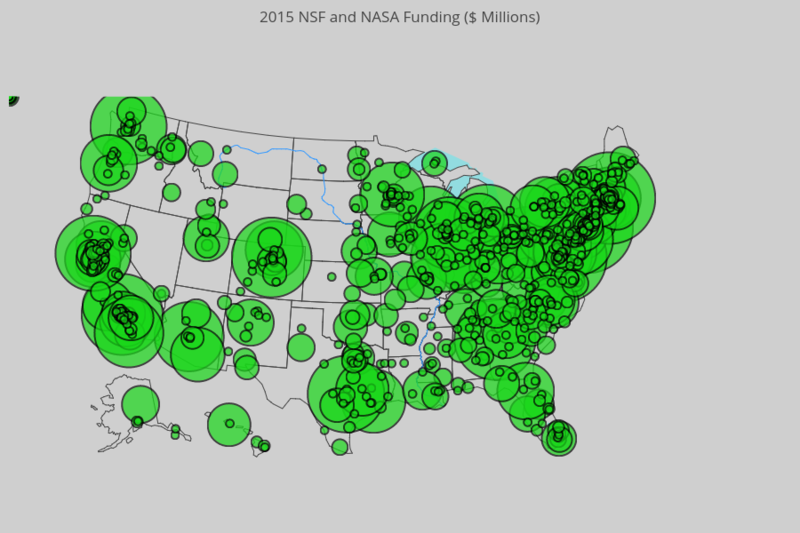 The National Science Foundation funds ~ 1/4 of all federally supported basic research, most of it in physical science and math. As a PhD student in physics, I am supported in part by the NSF grants awarded to my PI and Brandeis University MRSEC. How does current level of basic research funding compares to historical data? 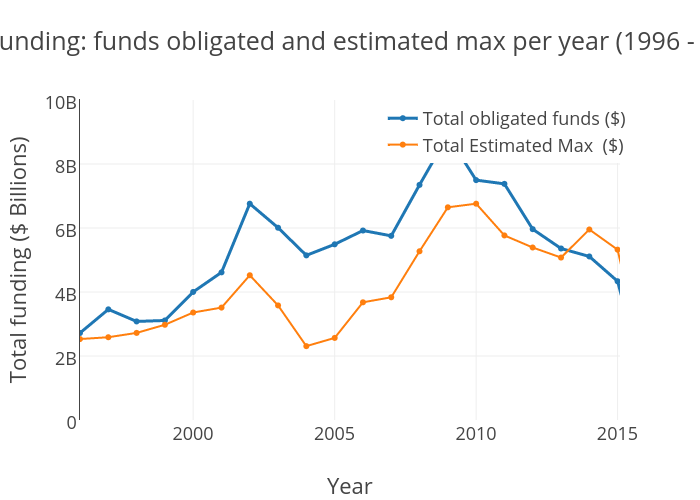 All the funding data by the government agencies like NSF is publicly available, but not easy to digest and analyze. I created a simple web-page that allows one to search NSF funding by PI, institution or state. It also makes visualizing funding data on the state or city level very easy with interactive maps. I looked up all NSF funding from 1996 through 2016 and sorted it by city and state. Looks like the amount of NSF funding peaked in 2009 and has been decreasing recently. Also there are two visible spikes in funding levels, in 2002 and 2010. I mapped the funding levels by city using plot.ly interactive maps. Here is one such map for 2015. You can find the rest of them on my plot.ly page.